Nobody’s born a financial genius. But as you grow, you get the opportunity to learn from those who’ve done it before. Just as you start to feel there’s a few financial boxes you’ve checked off, it might be time to swap chairs and become the one giving advice versus receiving it. Whether they’re nieces and nephews or your own little ones, answering financial questions and helping kids understand money is a skill all its own. And it’s one worth practicing. Experts say that kids need to develop a good, solid understanding of money – what it is, how it works, and its role in their lives now – early on, but that parents are more comfortable talking about literally almost anything else, even serious topics like drugs and alcohol or school bullying. It’s a lot of responsibility to start to have ‘the money talk’ with young minds, but where can you start? Consider these options to help fire up a conversation now so they can seek you out for some practical money talk in the future. It’s not something you’ll find on trees: teaching your kids that money comes from hard work is a terrific lesson to help them understand the cycle of money in our lives. Getting them started with an earned allowance – washing cars, mowing lawns, or helping out with other housework – means you’re already showing a great preview of how they’ll be able to support themselves later on in life. But they may have questions about how you do it if those three options aren’t your chosen professional path. You can offer them a quick look back of your own to help them connect the dots. Let them know how you picked your career and help them see the steps from where they are today to something that might fulfill them in the future. If they’re the right age, you might also think about helping them see the value in tasks that align with their interests, like caring for neighbor animals when owners are traveling if, for example, they have their sights set on being a veterinarian. How Do I Afford Things? Having money is one thing, but not having a plan about what you do with your money is like setting out for an expedition without a map or a compass. Budgeting isn’t always the most exciting topic, but it’s a vital one to help kids achieve money-related goals. Good savings habits now help kids buy they things they need and want – a lesson they’ll remember for a lifetime. I still remember the first thing I ever saved up to buy, and the sense of pride I had as I paid (completely in change) for a plush fish that I dragged all through preschool. I had saved for months and asked, probably non-stop, if the toy shop still had them on the shelf or not. We would walk through every so often to confirm they were still there, and I couldn’t wait for the day I would have my own. I would sit down with a parent and count out my change periodically, so I’d know my progress. Eventually, I had enough saved to make my purchase, and I was driven down to the toy shop after work by my dad, where I handed over my bag full of hard-saved change and counted it out with a very patient clerk in an otherwise empty shop. Though the toy shop has long since closed, I’ll never forget the value of learning at four years old the sense of accomplishment that saving could bring. It sticks with you. Money is more than just the fuel that powers commerce and business, it can also be a powerful force for good. Putting together a budget often includes a line for charity. Finding the right time to chat with kids about what’s important to them means you can think together about channeling something good, whether it’s money, activities, or both, toward a deserving charity you both support. It can be something as near as helping a local community organization or as far away as sending money to children overseas. Just make sure you help them do their research and confirm how much of their donation (if it’s monetary) goes to help those in need. Where Can I Get Help When I Don’t Understand Things? It’s important to let kids know that there’s a lot to learn about money, and you don’t expect them to know it all. But being a partner to help answer questions as they come up means that you can have a conversation about it when they’re ready. While we do more and more of our banking online, it’s great to involve kids when you do have business in person: help them see that there are people to help and that there’s always more you can learn. Especially with something like credit that comes a bit later, resources like the ones you can find here at Experian.com/education can help them get a preview of the basics on how to start smart. But there’s no substitute for coming to a trusted, personal source like you for some specific firsthand learning. How’d you do it? What was your biggest surprise? There’s a whole lot more than just saving and budgeting to understanding your finances. Sometimes the most valuable question is” What have I not even thought about yet?” From putting together a checking account for your youngster (and checking in on it online), to starting a regular credit cadence just before college hits with a secured credit card, to learning a little about investing, there are other topics to touch on, too. Again, don’t feel like you have to be a masterful veteran to talk knowledgeably about your own experiences. Plus, it may give you the opportunity to do a little more research on the ‘why’ behind something you know to be true- like why diversifying your stock portfolio is a plus. Treat it as an opportunity to get good answers and grown your own learning, too. Don’t let taxes be a surprise as kids start to build a savings strategy. Letting them know that taxes come out first helps them avoid a big surprise later on when take-home pay and salary aren’t equal in the future. And, it’s part of doing our part as citizens. While kids are still mapping out their cashflow from weekend chores, the amount you help them set aside now could be auto-added into a college savings plan that will mature and can lend some much-needed help down the road. 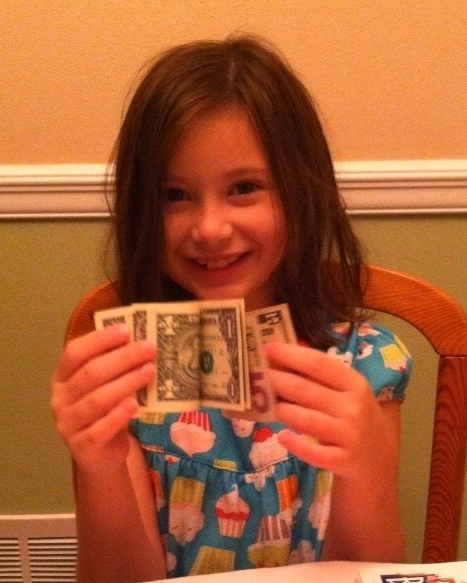 There’s no shortcut to helping a young mind get money-smart. But as a person of importance in their life, your voice has meaning and value. If you don’t have all the answers, you can absolutely reach out for more good info to give them a better understanding of their finance-related questions. And remember that family elders – grandparents, great aunts and uncles and the like – whose experiences can make them family financial MVPs would love to help you both grow your knowledge and build a valuable financial experience for you both.